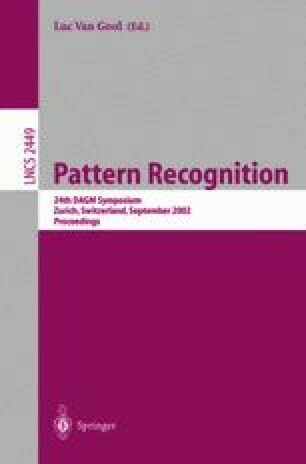 We present a novel technique to eliminate strong biases in parameter estimation were part of the data matrix is not corrupted by errors. Problems of this type occur in the simultaneous estimation of optical flow and the parameter of linear brightness change as well as in range flow estimation. For attaining highly accurate optical flow estimations under real world situations as required by a number of scientific applications, the standard brightness change constraint equation is violated. Very often the brightness change has to be modelled by a linear source term. In this problem as well as in range flow estimation, part of the data term consists of an exactly known constant. Total least squares (TLS) assumes the error in the data terms to be identically distributed, thus leading to strong biases in the equations at hand. The approach presented in this paper is based on a mixture of ordinary least squares (OLS) and total least squares, thus resolving the bias encountered in TLS alone. Apart from a thorough performance analysis of the novel estimator, a number of applications are presented. We gratefully acknowledge financial support of this research by the German Science Fondation (DFG) through the research unit “Image Sequence Processing to Investigate Dynamic Processes”.